Don't Step On My Blue Suede Sock!! I bring you.....(drum roll please)......DH blue sock.....created by MOI on CIRCULAR needles!! Yippee!! My FIRST circular needle sock!! (DH was so tickled he asked could he put in a rush order for the mate)! LOL!!! I have got to work on my finishing off technique but other than that I am SOOOOO loving these circs!!!! I just don't see me ever making another sock with DPN unless there is some catastrophe and that is my only option. We Interrupt This Blog For An Important Announcement!! 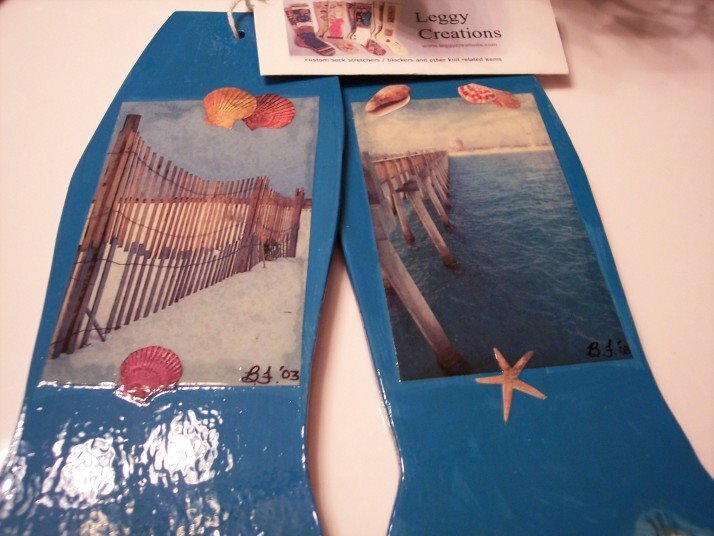 If you do not have a pair of Becky's fabulous Leggy Creations you need to stop....seriously....STOP what you are doing right now and go here....go on.....I'll wait for you! 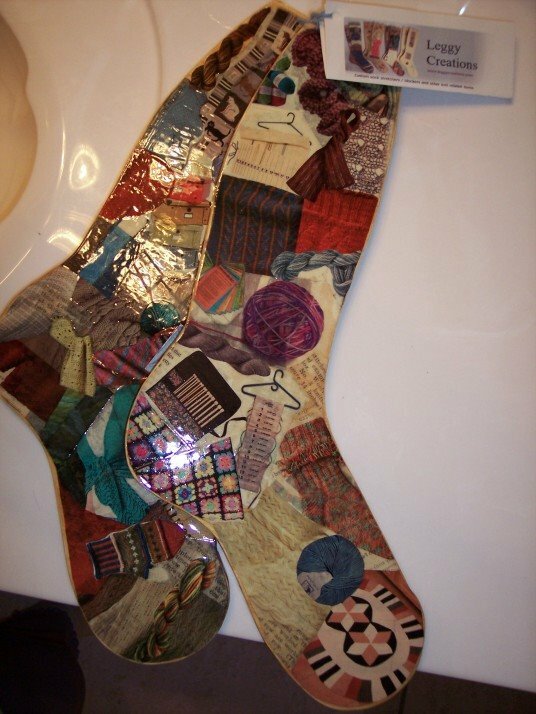 Scroll down and click on the gallery link to see an archive of some of the sock blockers Becky has made. Becky accepts custom orders so don't be afraid to let her know what you would like! I could NOT be more tickled with these blockers! The quality of the pictures in NO way reflects the quality of the work!! Each set is signed and numbered and has a tag attached that tells you a bit about what goes into making a pair of Leggy Creations! The beach scene is incredible!! I'm not sure if these are from actual pictures Becky made on the beach but pretty impressive!!! 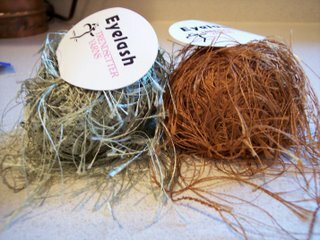 Oh...and don't think for one minute they are too pretty to use!! They are completely sealed with polyurethane!!! I'm just so excited I had to let everyone in on this well kept secret!! AND.....Becky makes these little fellas too!! Are they not THE cutest little things? What do you give the knitter that has everything? Why a custom set of Leggy Blockers and pair of sheep!! 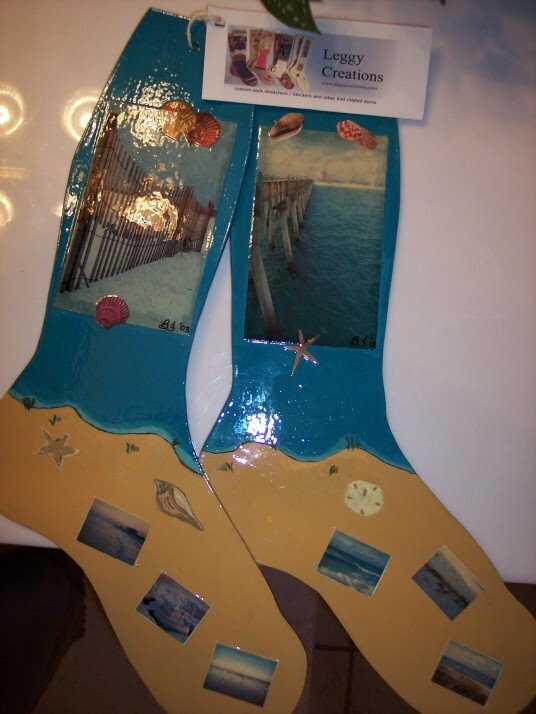 UPDATE: Becky did make the photos used on the beach sock blockers. I was down to the final few rounds of decreasing the toe and I lost a needle....yep....the little sucker just pulled right off!!!!! 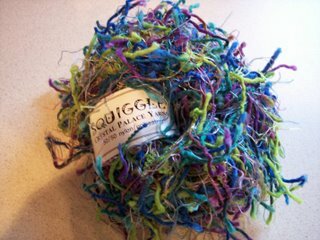 I am a very tight knitter and despite using a darning needle I could NOT pick up all the stitchs!!! I kept S.L.O.W.L.Y. ripping back in hopes of finding a place that I was able to pick up each and every one of the *&#% stitches......but no such luck!! I just wasn't able to save the sock despite my valiant efforts!! I didn't even get a pic of it before I frogged it!!! Sniff, sniff! 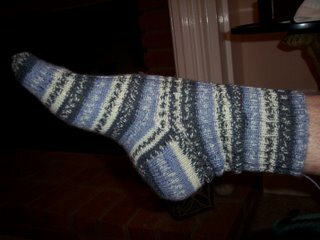 !........and I was SOOOO excited because this was my FIRST sock to complete (almost) that wouldn't require darning before I could wear it!! LOL!! It was the closest to perfection I have ever achieved!!!!!! BUT......I will be casting this yarn back on as soon as I can get the blue sock off my circs (will post a pic of that sock in a day or two)......but till then I leave you this. Aaaa.....Waaaa Waaaa Waaaa!!! Sniff, Sniff!!!!!!!!!!!!! I have been wanting to make a button for my blog for quite some time but for the life of me I have not been able to create one that will work!! Oh well....put that on my "To Do" list!! LOL!! 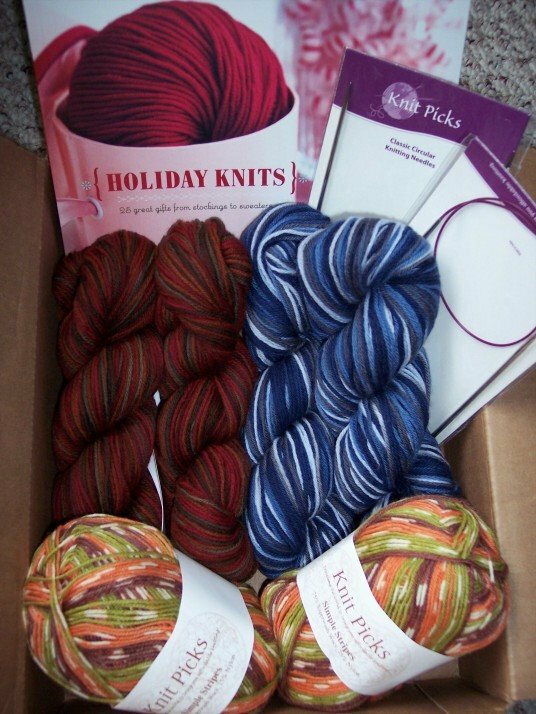 BUT......I have joined my first official KAL and I am so excited!! Well....actually I have joined FOUR KAL's!!!!! But these are the first ones dedicated to specific items to knit. Warm Hands This is a KAL for mittens (or gloves for those that are more advanced than I am!) This KAL is hosted by one of my favorite blog sites I stalk....uhmmm visit!!! Follow the link and check out Sandy's blog when you have time! Knit Unto Others I think this one is going to be one of my favorites!! 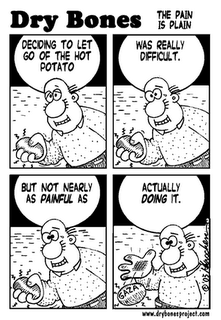 Although this website is dated 2005, this is a KAL that will be active for this year as well. The blog will be updated later according to the facilitator. 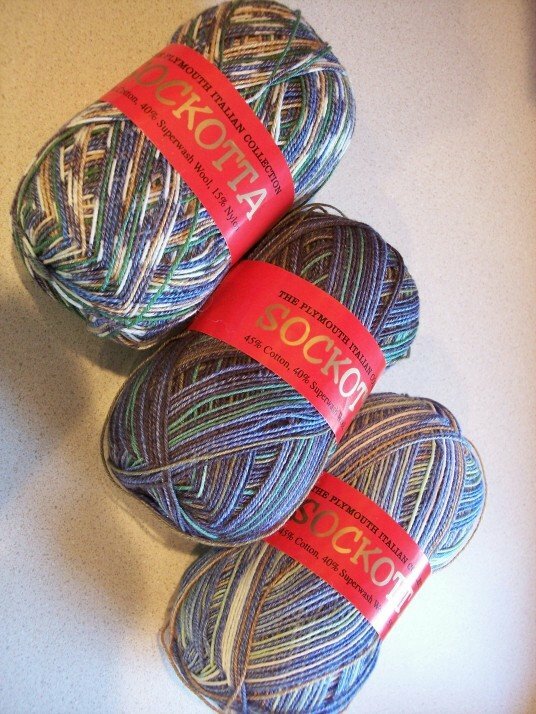 This KAL involves making toddler socks for the CIC ! Socktoberfest 2006 My FIRST sock KAL!!! Who knows.....just might get good enough one of these days to join an actual SWAP!!! EUREKA....I Got IT...and other things! 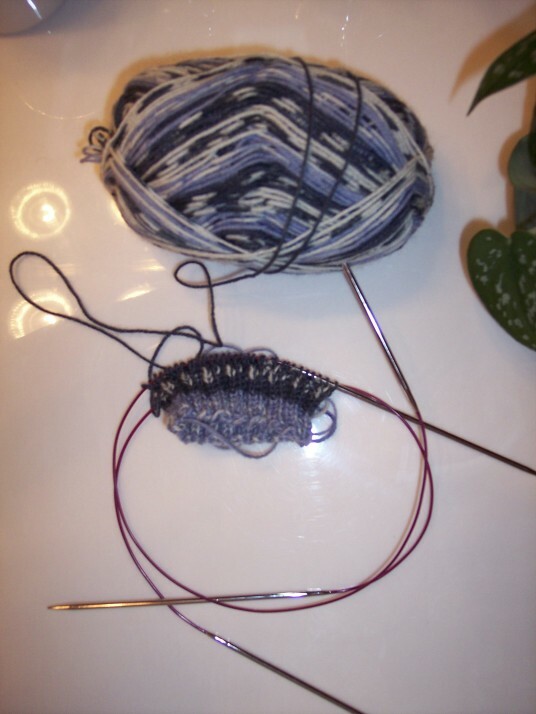 Tonni so very graciously offered to teach me how to knit socks on circular needles awhile back and we were finally able to get together over the weekend! I took my camera but never pulled it out of my bag.....I was so excited I forgot!!! One reason I was so excited was because Tonni gave me these!!! Aren't they great??? 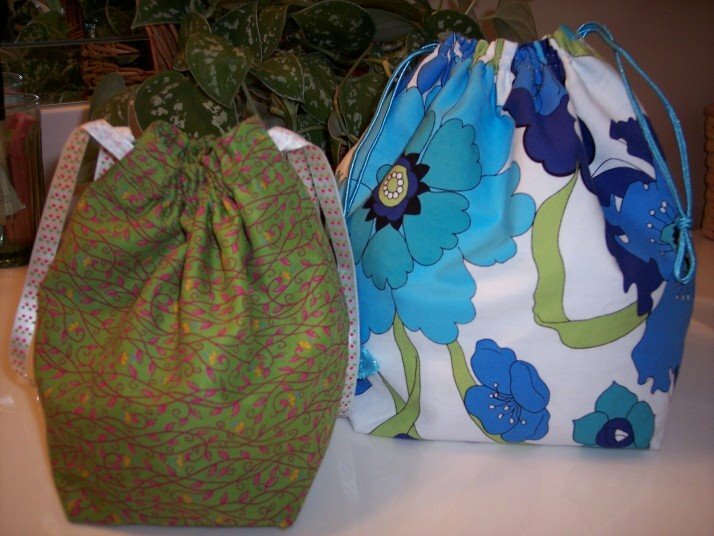 My very own sock bags....and not just any sock bag ....but made by Tonni herself!!! I LOVE, LOVE, LOVE them both!!!!! I also got to meet Tonni's husband who couldn't have been nicer and I am sure would have enjoyed the ballgames better if he hadn't been stuck in the bedroom having given up the LR to Tonni and I to knit! Last but not least....the fur children some of which I was able to pet and some who were not quite sure about me.....but there's always next time! LOL!!! It took me several attempts but I FINALLY got the hang of the long tail cast on AND the circular knitting!! (Which I am now a huge fan of!!) 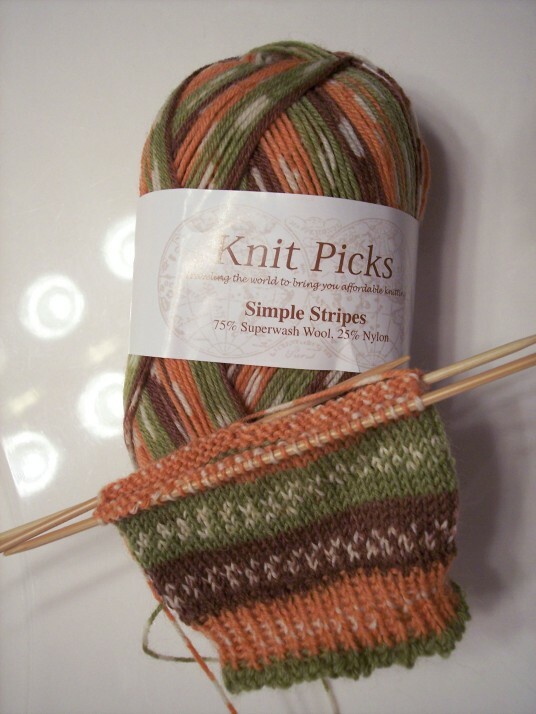 I had so much trouble with having the cast on top of my socks not being neat and could NOT figure out why....they were "rippled" and loose looking when I was using the DPN!!! Don't have to worry about that anymore!!! The long tail cast on took care of it!! Be hard pressed to use DPN again for socks......EVER.....hmmmm wonder what I can use the DPN for now???? Tonni could not have been a better teacher or hostess....she made me feel like I was right at home and I am already looking forward to the next time we get together to knit! 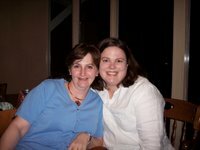 (I guess here would be an appropriate place to thank Emily once again, for creating a database for all the Alabama Knitters.....which is how I initially met Tonni). I would have never in a million years had the opportunity to meet and get to know Tonni, Ginger and all the other girls if it weren't for Emily and I feel like I have made some lifelong friends......some I have met in person, some I will be meeting in person when time allows!! 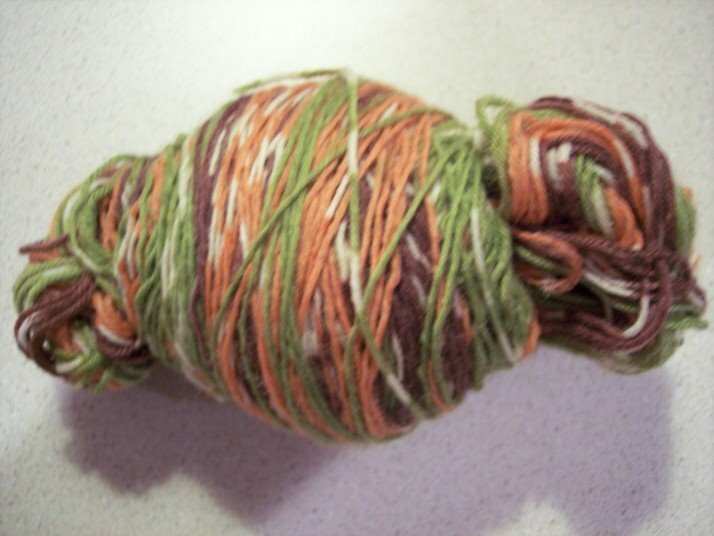 Going to be a crazy week, little to no time to knit.....boo hoo....I feel like a kid with a new toy now that I know this new way of making socks and I am so anxious to have the time to sit and knit!!!! My camera didn't pick up on the vibrant colors....but the orange is a true vibrant pumpkin color!! Makes me anxious for Fall!! Cooler temps and all the pumpkins, mums, hay bales and cornstalks that magically appear all over town and on front porches!! I love to cook with pumpkin too!! Just have to be sure and keep my toes covered!! LOL!!! ESPECIALLY when it lands on your foot.......and you are wearing flip flops!! If it can go wrong in the kitchen it has gone wrong in mine....as a matter of fact I'm going to write a book one of these days on what NOT to do in the kitchen! But back to my TOE!!! As I was unsafely moving a potato from a boiling pot of water with a skewer to the cutting board mistakenly (in retrospect) placed on the OPPOSITE side of the kitchen the potato fell apart....and landed in part on my big toe.....I have a BLISTER!!! I am in pain .....I'm talking PAIN here!!!! I can't decide which hurts worse....the heat of the burn or the pain of the cold from the ice or the humiliation of being so STUPID!!! I can NOT believe I am even admitting to something so stupid.....but I will be a big person and put my embarrassment and humiliation aside in hopes that someone will benefit from my injury.....if not....perhaps you will have a good laugh! LOL!!! Note to self: Best to knit instead of cook!! I was so tickled that Ginger was able to attend Chicks With Sticks last night!! Ginger and I have been blog buddies for several weeks. I found Ginger's blog through Emily's blog under her Alabama Knitters button. I'm not very good at meeting strangers......I'm pretty awkward.....well, VERY awkward when I meet new people but meeting Ginger was like being reunited with an old friend! First thing we did was hug....(I'm a hugger).....and I immediately knew she was as precious as her emails!! What a SWEETIE she is!! When you have time.....and you will need time......go through her archives! Ginger and her DH travel all over the south to all the out of the way, unique places that make the South so special and shares info on where to stay, great places to eat, etc. 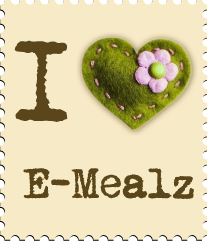 PLEASE check her site out....your are in for a treat.....oh.....and did I mention she is a Craft Queen as well as a knitter? She brought me this! 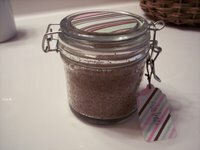 Among all the crafty projects Ginger undertakes she made this sugar scrub! 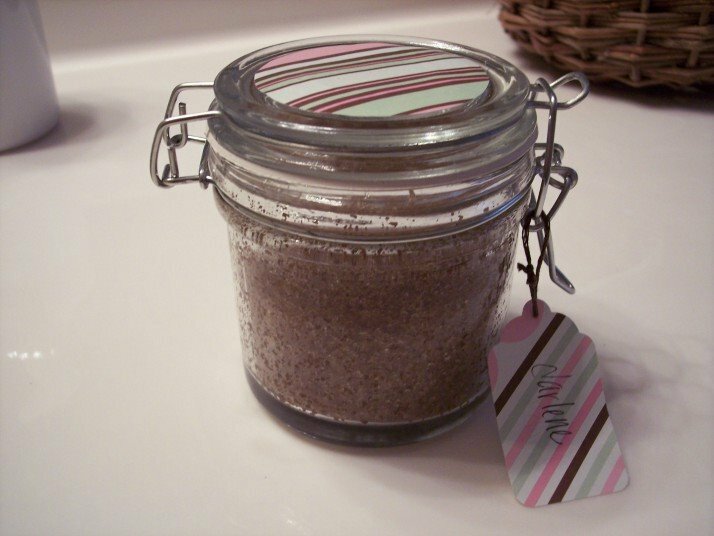 It has a GREAT scent and is right up my alley as I am a bath product junkie!! The lighting isn't very good but this is a GREAT variation of greens that I LOVE.....just couldn't pass up! I just love this color combination!!! 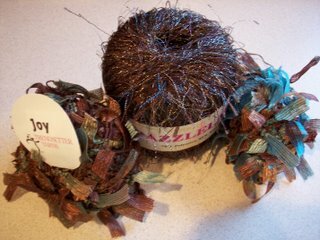 This is for two scarves....not sure if they will be Christmas or Birthday gifts! 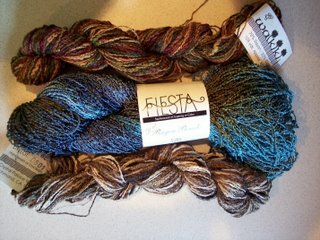 The blue is a boucle yarn that I have never seen and I am going to attempt to make a very small shawl/very large scarf! 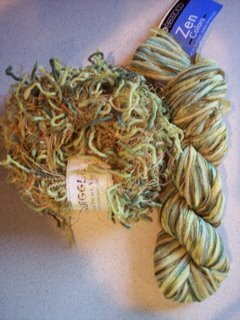 The other two skeins are for triangular scarves knitted on size 19 needles (Thanks Jan! )......these go sooooo fast and everyone that sees them has asked for one! A Blatant Case Of Bragging! I would like to invite everyone to bookmark my nephews blog and follow his journey through Spain beginning today until he returns mid December. Please feel free to comment and let him know you are a friend of mine. Brent is a phenomenal kid....um....I mean.... man! He has worked very hard to get where he is in life and I could not be more proud of him!!! 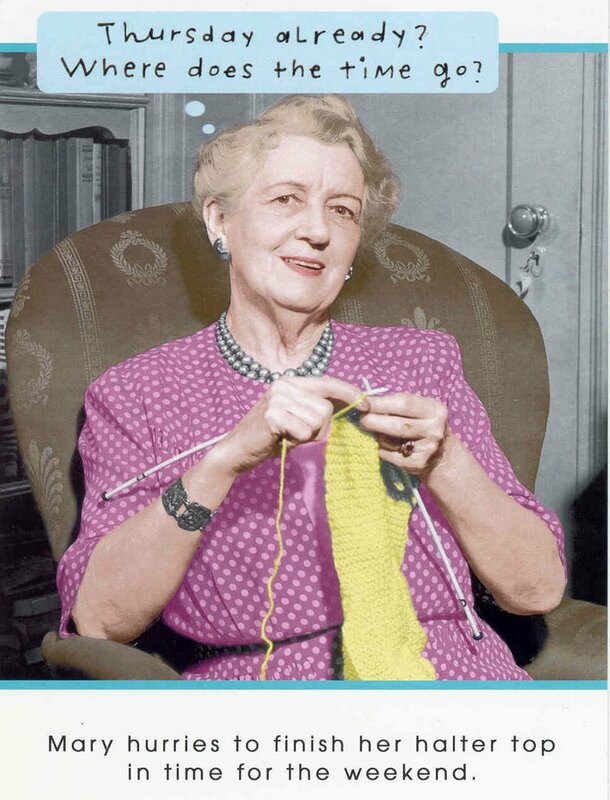 On the knitting front: The purple "thang" is gone. Even the cat wasn't interested in it......just looked at me like PULEASE, whipped her tail as if to say humph ....and sauntered off!! I would have posted a pic but it was just too sad to show! LOL!!! After I gave it a "trim" I realized it was a good thing I went in the medical field rather than the hair dressing venue!! LOL! Working on a sock.....will post pics later! I appreciate your support of Brent's travels and his blog! What Makes a GREAT Saturday????? What could be better than a Saturday???? 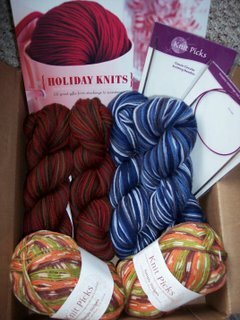 The mail lady bringing a box.......to your door........from KNITPICKS!!!!!! Oh happy, happy, joy, joy!!! I saw the Holiday Knits book at In The Making.....but they only had the shop copy....good for me because I found it at Knit Picks.......CHEAPER!!!! The fall colored hank of yarn is Memories, Redwood Forest, the blue is Memories, Yukon, the Simply Stripes is Autumn, got a couple of size 2 circular needles.....Tonni (bless her heart) is going to show me how to make socks on circular needles.....hope it will be the end of the dropped/lost needles!!! 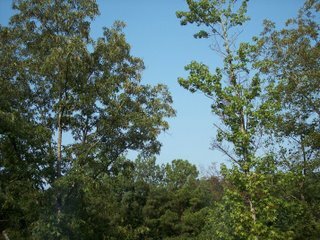 Another Blue Sky From Trussville!! Early this morning the temperature was actually below 70 degrees!! Woo Hoo!!! 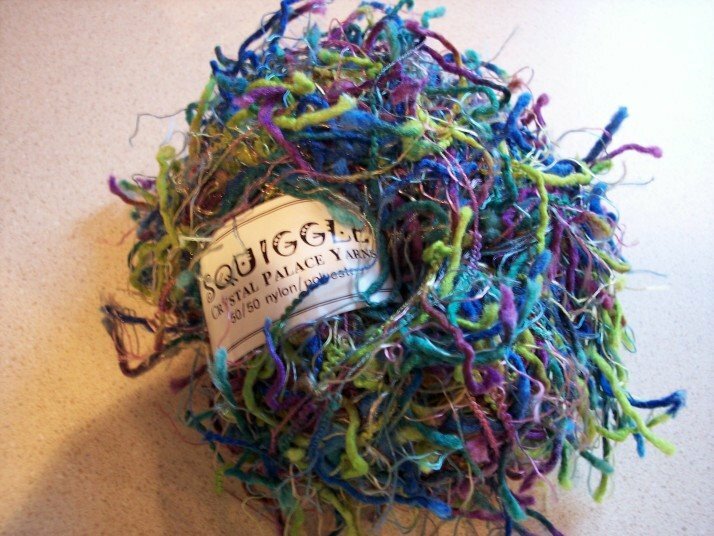 I received a comment on my last sock post about my "spaghetti" yarn.....which reminded me I didn't post a picture of my scarf I named "Raimie Noodles On Acid".....looks like ramie noodles doesn't it??? 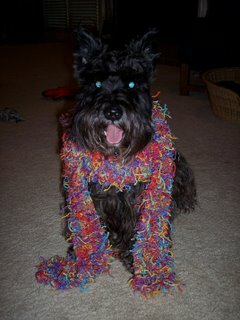 I had to promise Max a bisquet to pose....but....just like me he will do most anything for food!! LOL!!! I DID discover that I made the scarf wayyy longer than I wanted it to be!! I finished the scarf at a recent Sticks With Chics gathering.....I tend to get distracted....guess that's where that extra 24" came from!!! LOL!!! I'm thinking about trying to "undo" back about 2 ft....but not sure if it will "undo" without a major hassle. Hmmm....have to think about this one! !